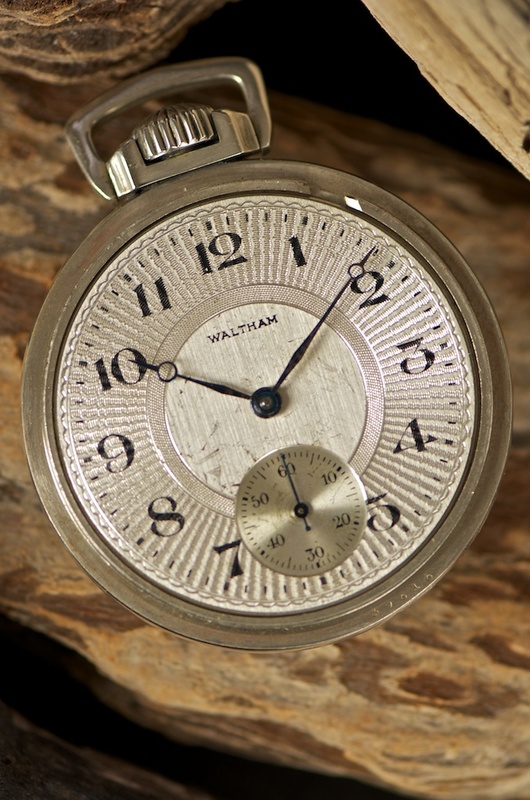 I got distracted last weekend, it was a 1908 Waltham pocket watch. I'm a vintage/retro wristwatch kinda guy but I came across this particular pocket watch and decided it would be a nice addition to my watch collection. I have more wristwatches than I care to admit but this is only the second pocket watch for me. I wear a wristwatch every day, a pocket watch, not so much. While browsing at one of my regular vintage shops I came across this pocket watch. I had noticed pocket watches being sold by this particular vendor but hadn't thought much about them in the past. The shop is a cooperative of vendors who each have their own individual display cases. This particular visit I went by his display case and saw only a single pocket watch that was being discounted. The operator of the store informed me the vendor would no longer be at this shop and was selling off his inventory. 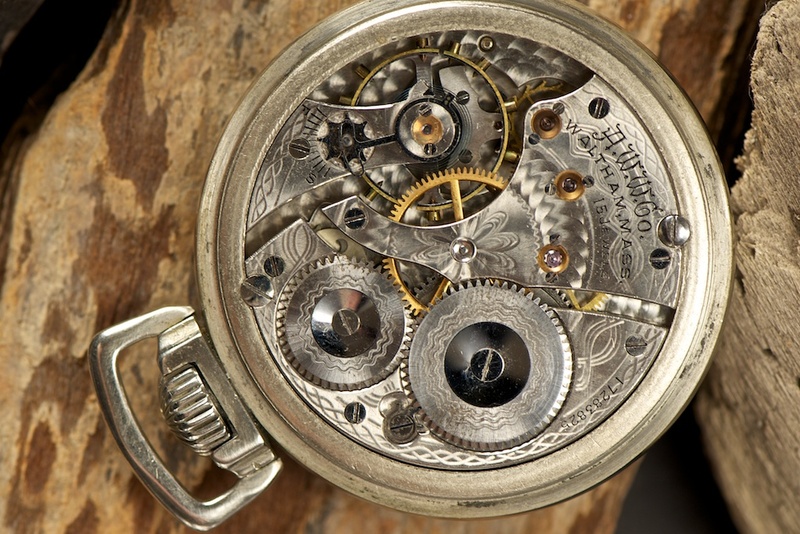 The price was right but more importantly the movement, dial and case were all in great shape. When I used my macro lens to take the photos for this blog, all the flaws which are hard to detect with the naked eye are seen - it truly is a great looking watch. It's an interesting surprise when you unscrew the back of the watch case and you discover a beautifully damascened movement inside. Oddly though, very few people would be looking at this beautifully engraved work, most likely just the watch maker when it went in for servicing (or me showing it off to my friends). 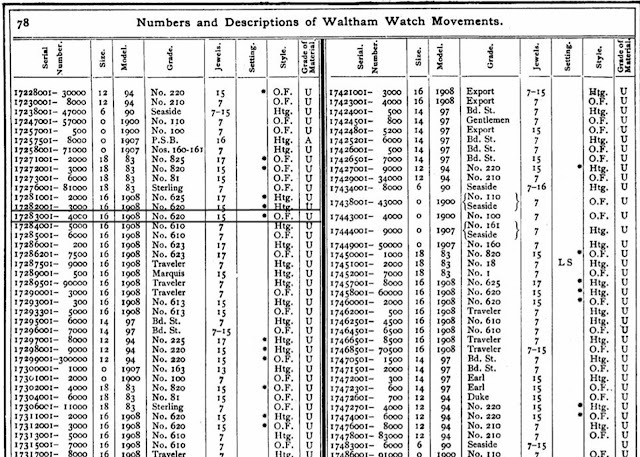 I was able to date my watch thanks to the great many resources out there including Pocket Watch Database. 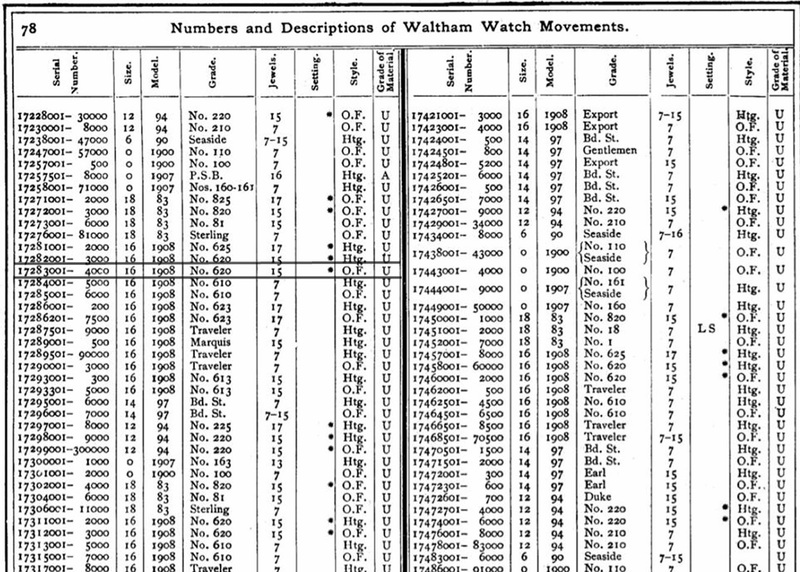 This website also provided an excerpt from a Waltham data sheet. I mentioned that I wear a wristwatch most every day. Pocket watches don't seem to be the accessory you'd wear most every day. 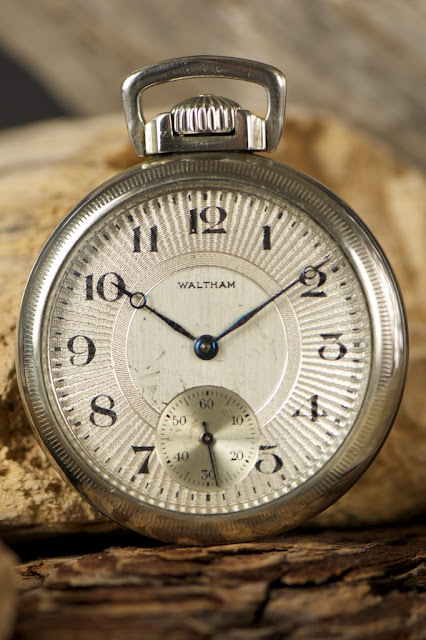 My first pocket watch (a Hamilton) has been worn on special occasions with a nice vintage chain. I wore it for a 2016 Robbie Burns Day function my wife and I attended for instance. 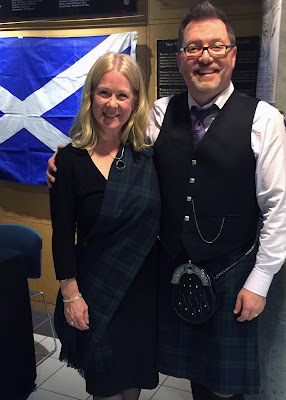 Can't say I mind being distracted now and then, especially if it means being able to dress up a kilt with a pocket watch and most importantly, enjoying a great evening with my loved one.